Cesc Fabregas, speaking at a Facebook event in London yesterday, has openly criticised his Chelsea team mates and has stated: "‘If you are a big player, and paid like one, you must play like a big player’. I am interested to hear your reactions to his comments. Cesc has found himself (like many others this season) out of the starting eleven for the last couple of games and was introduced as a second half substitute at the King Power stadium as Chelsea found themselves two goals down against Leicester. I personally thought that he did well when he came on and influenced the game from midfield moving forward which is something we have struggled with in recent weeks. "We will all have to take our responsibility. If you are a big player, and paid like a big player, you must play like a big player and behave like a big player. I am not saying you can’t have a bad season and bad games. We all have big players and small players but the attitude must be spot on. We must always be at the top of our games, even when it’s not, and the behaviour has to be better than what we are seeing right now from every single Chelsea player. At the end of the day, as a player you have pride. We cannot win the Premier League right now but we must do better. Right now is not the time to think of where we might finish, we’ve been saying it almost all season. I don’t think about anything apart from wanting to beat Sunderland [on Saturday], play my best and that’s it. It's interesting to hear that he has referred to every Chelsea player including himself and, it will be interesting to see what the other players make of his comments, especially those that are earning big money because he is blatantly digging them out for not doing what they are being paid handsomely to do! I like that he talks of the behaviour of the players also. He really is having a real pop at each and every single one of them to encourage them to up their game here. It's one thing to come out and speak to the press or give quotes such as these giving it the big one, but it's another to get out on that pitch and deliver. For the most part, it hasn't happened. I agree with Cesc and I hope the message has been heard loud and clear at Cobham this morning. If your paid like a big player, it's about time this season that you play like a big player starting with Sunderland at the weekend! 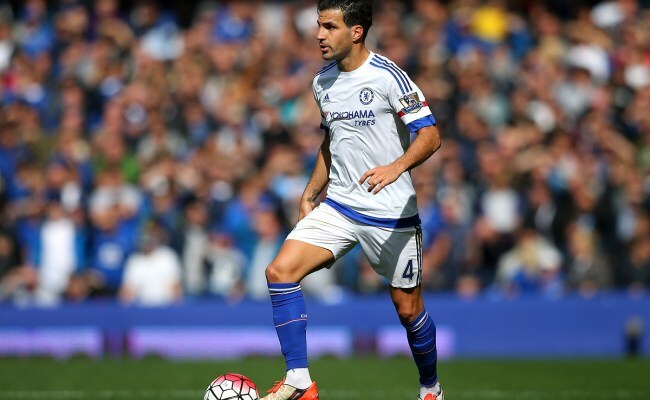 What is your opinion on what Cesc Fabregas has had to say about his team mates?